On 13 and 14 November, the VDE became the capital for future technologies, on its 125th anniversary! At the VDE Tec Summit 2018, almost 190 speakers presented and discussed visionary digital ideas. Among them our CEO and President of KI-Verband Jörg Bienert who showed the potential of AI, expectations and how our services can contribute to the market needs. Also, he emphasized the role of KI Verband and its essential role in supporting Germany in catching up with new technologies. 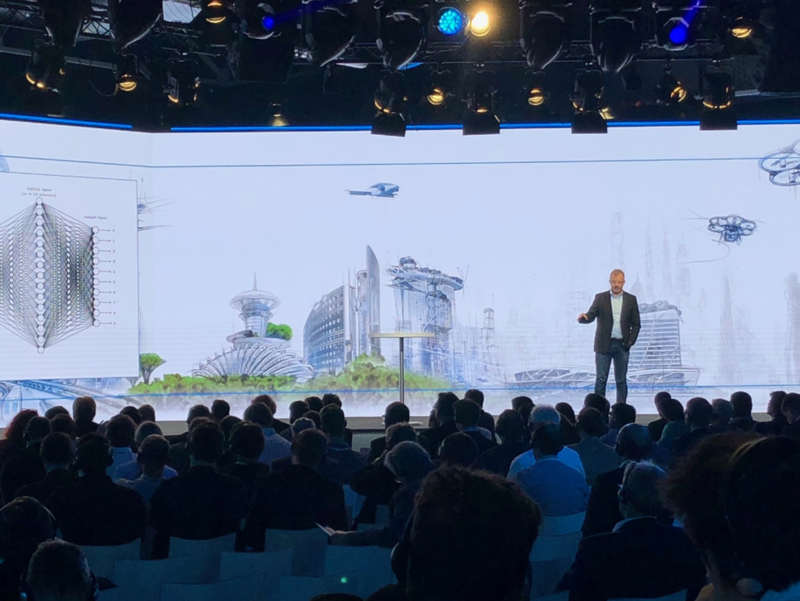 The highlight: the anniversary evening with keynote speeches on technology policy by Federal Economics Minister Peter Altmaier and Siemens CEO Joe Kaeser and the big birthday party – including a trip into space to the international space station ISS. Thank you Tecsummit for this exciting journey!